The workshop will focus on novel phenomena occurring at interfaces between metallic conductors and magnetic insulators, including new classes of quantum magnetic materials, which offer a rich playground for Quantum Spintronics. 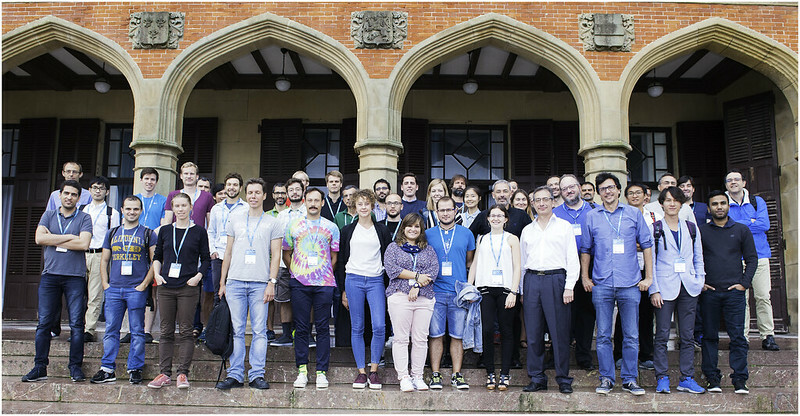 The workshop will bring together leading experts, experimentalists and theorists, working at the crossroads between magnon spintronics and quantum magnetism. We will discuss recent developments in electrical control and detection of spin currents through magnetic insulators, collective spin transport and spin waves, quantum correlations and novel quantum heterostructures for spintronics, bosonic condensation and superfluidity of magnons, topological order and dynamics in quantum magnetic materials. We hope the workshop will foster collaborations in this rapidly developing field, important for the fundamental physics and applications. Direct link to the album on Flickr.